There’s been so much excitement about our JDP senior line, parents began asking “do I have to wait till my kids are seniors for you to create like this for me?” Absolutely not! By popular demand, we launched our JDP jr. line recently, which features 5-8th graders in the “forgotten years”. I posted a personal blog on the whys behind portraits at this uncertain age featuring many of our JPD jrs. Parents of my seniors told me they didn’t want to wait to have their younger children represented in wall art in their homes alongside their seniors. They wanted portraits that their kids loved as much as they do and that’s our specialty–creating in ways that delight and surprise the whole family! Considering a portrait session for your tween? We’d love to chat with you about that-click here! We launched our JDP line with a film by Wise Films featuring JDP jr. Peyton above. Click here to see the fabulous video Wise Films produced for us! One of my favorite parts of our senior line is our JDP senior model program. It’s a chance for our invited seniors to participate in creative bonus shoots throughout their senior year. We decided to give our jr.s a little taste of this with an abridged version of our model program. That’s who you are meeting here–our JDP jr. models! Expect to see Giana, Kylie, Peyton, Katelyn and Emily again in the future with some new additions coming soon! Want to see where JDP jr.s were first featured? Click on their names to view their blog. Giana, Kylie, Peyton, Katelyn, and Emily! 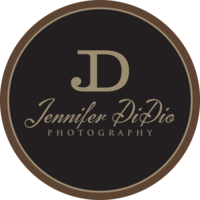 We’d love to chat with you about a custom portrait session for your tween! Click here to contact us!